Rep. Austin Scott is a lead sponsor of legislation that would require more clearly labeled E15 at the pump. 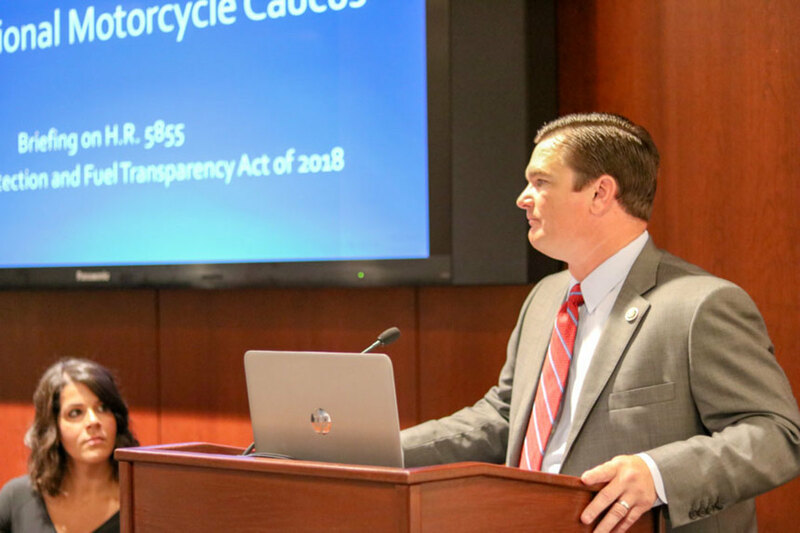 Rep. Austin Scott, R-Ga., a member of the Congressional Boating Caucus and a lead sponsor of the legislation, delivered opening remarks highlighting the bill and encouraging all stakeholders to keep working for its passage, according to the NMMA. NMMA’s Nicole Vasilaros moderated the panel of representatives from a group of industries impacted by E15, including John Booher from Briggs and Stratton, Martin Peters from Yamaha, Mike Sponseller from Dunn Lewis Motorcycles (on behalf of the American Motorcyclist Association and Motorcycle Riders Foundation), and Chris Edmonston from BoatUS. Peters estimated that there are more than 10 million marine engines in use today, and retrofitting all legacy products to run on E15 is not realistic. The vast majority of boats are towable, meaning boaters typically fill up at their local gas stations, said Edmonston, who added that more comprehensive education and labeling beyond marinas is necessary. Booher called the Consumer Protection and Fuel Transparency Act a great opportunity to inform consumers of what type of fuel they are receiving and what it can be used for. Sponseller praised the bill for simplifying the education process and breaking down language barriers by deploying instructive images.